There are an infinite number of coffee makers on the market and even more brewing methods. 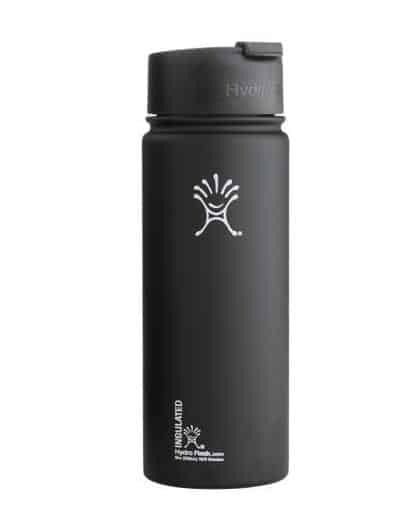 However, there are two trendy gadgets that will change the way you drink coffee forever. The Moka Pot and the Percolator. These two brewing methods deliver customized results, ensuring your morning cup delivers consistent YUM. Both types of pots naturally have a vintage look and feel, making them an aesthetically pleasing focal point for either your counter top or next Instagram post. The Moka Pot (no, not M-O-C-H-A) is a system that brews your coffee from bottom to top, while the percolator makes your coffee from bottom to bottom. I promise it’s much simpler than it sounds. NOTE: Choose water that you enjoy drinking. Some folks swear by distilled, some like purified. There’s no right or wrong answer. 6) Lastly, listen for a hiss or bubbling sound. This is GOOD! This means the coffee is being pressurized up, and into the top chamber. When the bubbling sound stops, the water has all been pressurized to the top, and your coffee is ready. Please note, click here to see more detailed moka pot instructions. Voila! You have just made a cup even a Parisian would be happy to drink with their croissant. 1) Grind your coffee. A COARSE grind works best, as the grounds can tend to fall into your coffee if it is too fine. 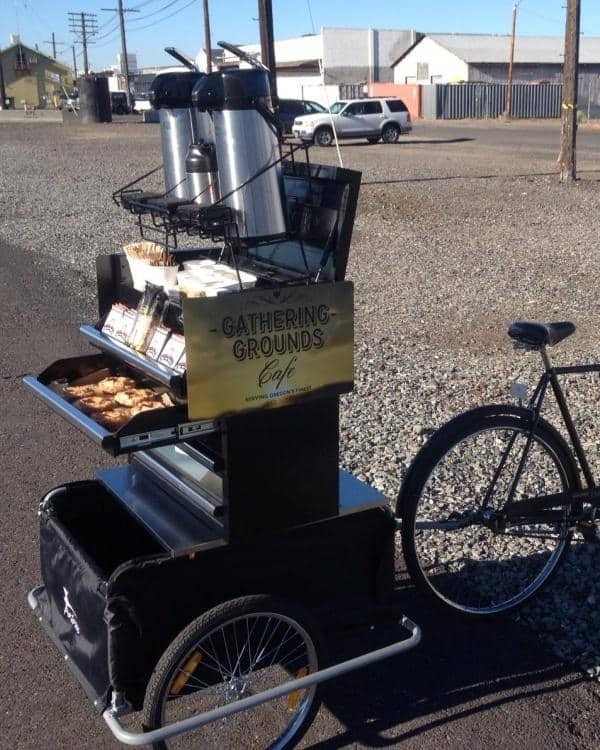 2) Add grounds to basket. 3) Place the stand and stem inside the pot. 4) Add water to the base of the pot. 5) Add the grounds basket to the stem, and add the basket cover. 6) Place the lid on top of the pot, and place on stove. 7) The water should heat up gradually, and you’ll hear it start to bubble (or “perk”). What exactly is the water doing inside the pot while it’s perking? As the water boils, it travels UP and through the top of the straw. It then falls onto the grounds below and filters into its original reservoir. It continues this cycle until it reaches your desired strength. 8) Let the pot perk (brew) for at least 7 minutes. 9) Remove the percolator from heat, and let it sit to allow it to settle for a few minutes. Add your cream, your sweetener, and anything else your fancy heart desires. 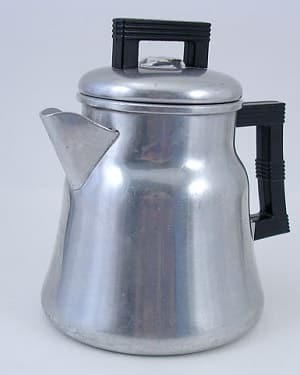 The Moka Pot or Percolator can be used on a stove OR over a campfire, if that’s more your style. Both are made from non-breakable materials, making them easy to transport. They both produce a product that you can customize to fit your taste. Produces espresso-like, concentrated product with a punchy or sharp flavor. Sometimes you’ll be lucky enough to find a little crema at the top! No grinder necessary, standard grind works great. Finding the “sweet spot”: the perfect brew time. Slight learning curve, as there are multiple factors that go into the process. Choose your strength: The longer it perks, the stronger the brew. 7-10 minutes is ideal. Quantity: Pot makes enough for a family gathering. Coffee is brought to a boiling point, which can compromise taste. If brewed too long, over-extraction of beans can cause bitterness. 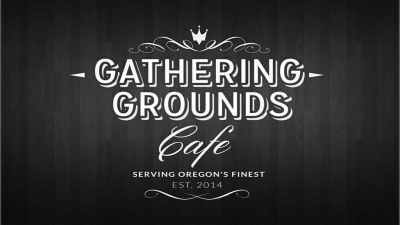 Drip coffee – See drip coffee vs percolator for more on this. Which brew is right for YOU? Practice makes perfect. If you decide to purchase one or both of these machines, give it a few tries before your final verdict. Ask your friends and family members to try these methods with you too. They’ll be honest. Another option is ordering a cup of coffee each of these different ways when you’re out and about. Whether you’re a kinetic or visual learner, there’s something to be gained by watching an expert use these techniques up close and personal. As with many coffee lovers, they’ll likely teach you a thing or two while making your coffee for you. Upscale kitchen stores carry a variety of coffee machines, and will even make you samples if you ask nicely. That said, it’s a non-commital way to try learn about different products and methods. One of the biggest concerns people have with moka pots has to do with their safety. But as we’ve discussed before on this site many safety concerns associated with aluminum vs stainless steel moka pots are mostly discredited. The percolator is supposed to use nearly boiling water to brew but it’s hard to get the temperature right which is why so many people make bad coffee in them. 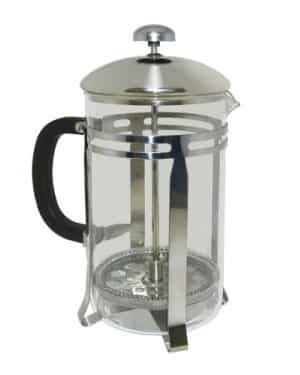 In fact for similar reasons percolators and french presses have this in common – a widespread misuse of the brewing technique. There are some people that just like the percolator and to them we say “to each his own”. 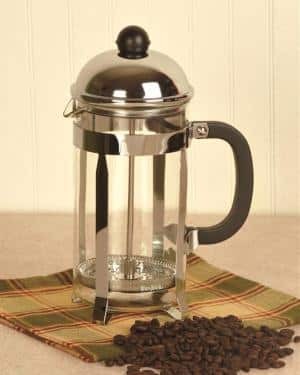 With all coffee making equipment there is a market and if you are looking for a good percolator then may we suggest you opt for a larger model as they don’t tend to burn coffee as easily.